Friday, March 16, 2012 Icenhauer's - 83 Rainey St. 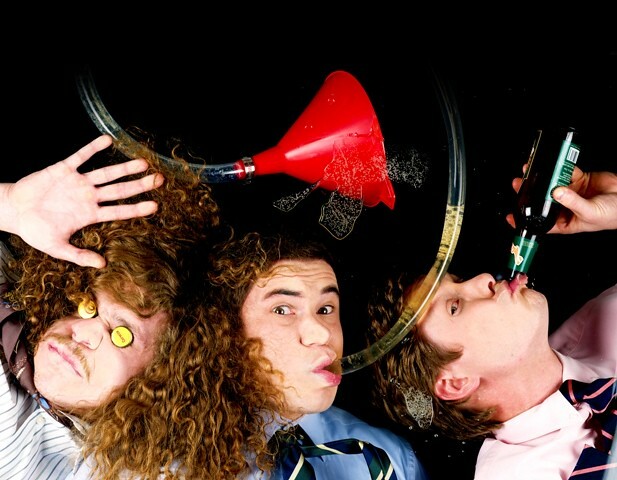 THE EVENT LET'S GET WEIRD with the cast of Comedy Central's Workaholics down at SXSW! You - the fans - are invited to the WORKAHOLICS HOUSE PARTY to hang out, PARTY, listen to live music, PARTY, play games, PARTY and interact one-on-one with the stars of the show. THE DETAILS Doors open at 1 p.m. All attendees must be 21+ and have valid I.D. at the door. This event is open to the public. No purchase necessary. RSVP does NOT guarantee admission and is non-transferable. Admission is on a first come, first serve basis. SXSW badge holders do not have priority or special access. Comedy Central reserves the right to refuse admission at their discretion. Rainey St. will be closed to vehicular traffic from 3 p.m. – 3 a.m. - please plan accordingly.